It has been known as 'The Canon of Medicine', referred to the black seed as the seed that stimulates the body's energy and helps recovery from fatigue. 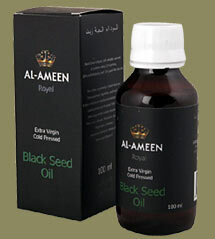 Black seed oil is made from truly a remarkable herb called Nigella sativa, popularly known as Kalonji or Black seed. Black seed is known around the world by many names because of its ancient popular history and medicinal value viz: black caraway, roman coriander, carvi (French), schwarzkummel (German), kalonji (Hindi/Urdu), kezah(Hebrew) chernushka (Russian), corek-otu(Turkish), habbat-albarakah or habbatus-sauda (Arabic) siyahdaneh (Persian) etc. According to tradition, the Prophet Muhammad (SallallahuAlaihiwaSallam) described black seed as a cure for every disease except death. It has been traditionally used for a variety of conditions and treatments related to respiratory health, stomach and intestinal health, kidney and liver function, circulatory and immune system support, as analgesic, anti-inflammatory, anti-allergic, antioxidant, anticancer, antiviral and for general well-being.